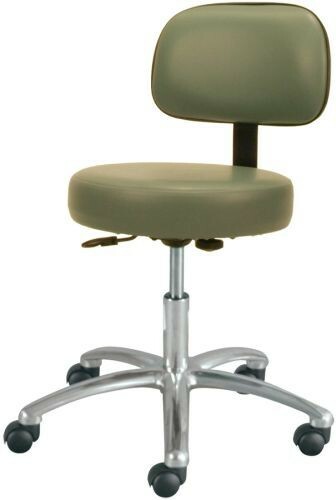 Deluxe Gas Lift Stool with Back is part of Winco's stools with backs line that features a polished aluminum 5-star base and easy-rolling 2-inch casters. Designed with fingertip height adjustment, this adjustable bar stool is made with 3-inch high density foam and is covered with heavy gauge vinyl. 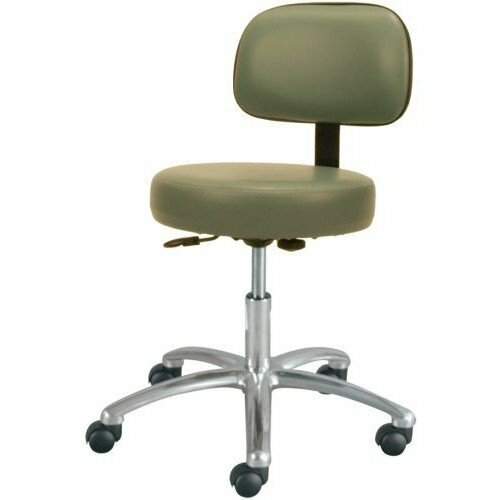 Deluxe Gas Lift Stool with Back is available in nine different deluxe vinyl color options to match the decor of any office, apartment or workspace. While other stools with backs provide only the minimal amount of support needed, this adjustable bar stool provides both comfort and support in a stylish design. You might also be interested in similar stools with backs, such as Kitchen Stool with Adjustable Height. Features an adjustable back height and a polished aluminum 5-star base. Designed with easy-rolling 2-inch casters and fingertip height adjustment. The 16-inch seat is made of 3-inch high density foam and covered with heavy gauge vinyl. Available in nine deluxe color options.